Participate when asked or invited: Some program completion requirements ask directly for a parent’s caregiver’s participation in conversations or activities. Girls may choose to involve their parents or caregivers in completing some of the requirements. 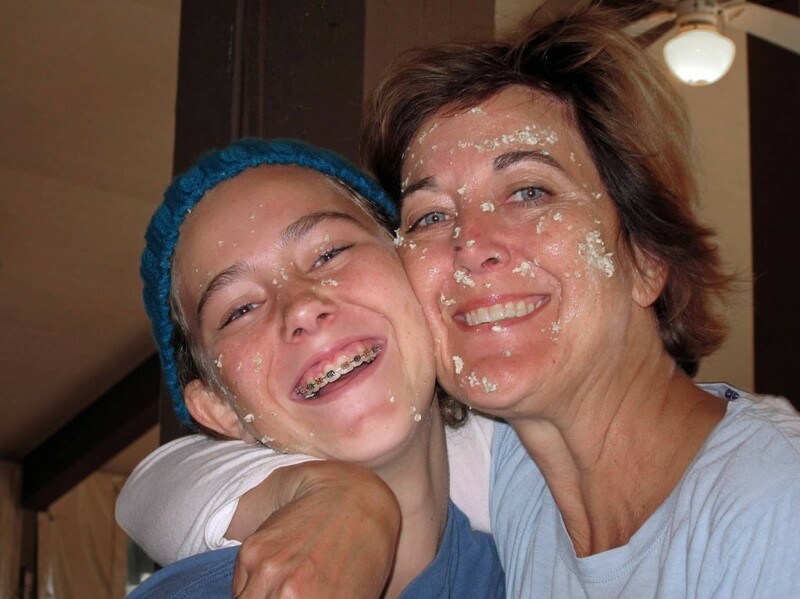 Nancie, 13 years old, and her mom getting oatmeal facials at Cadette Girl Scout Camp. Support the girl’s participation: Parents and caregivers play an essential role in making the program a success by making arrangements so that girls arrive at program-related meetings and appointments on time; helping girls set aside time for completing requirements agreed upon by the girl and her advisor; responding quickly to requests for information; and returning permission slips promptly if needed. Younger girls may also need help managing their calendar and remembering appointments and commitments. Alert advisors of “extra care needed” situations: Provide advisors with information about special situations that might affect the experience for both girl and advisor. For example, information about a girl’s learning differences might help the advisor suggest options for completing the program. Similarly, an advisor and girl will benefit if the advisor is made aware of, say, a death in the family, an allergy, or an extreme fear. Help with networking: Parents and guardians can help the girls connect with members of the congregation and the local community who can help them with a particular requirement or research task. Children and youth often know fewer people in the congregation by name than their families realize, and an introduction from a parent or caregiver can break the ice. Parents can also help by making girls aware of resources and opportunities in the community. Encourage her: Of course! Let your daughter see your interest and pride in her participation. Sometimes children or youth need help at home interpreting directions. Remember, if there’s an impossible way to do something and a reasonable or easy way, it should be done the reasonable way.